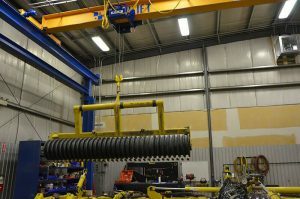 ENGINEERED MATERIAL HANDLING (EMH) designs, sells and manufactures a complete line of overhead material handling equipment for loads from 35 lbs. to 300 tonnes. 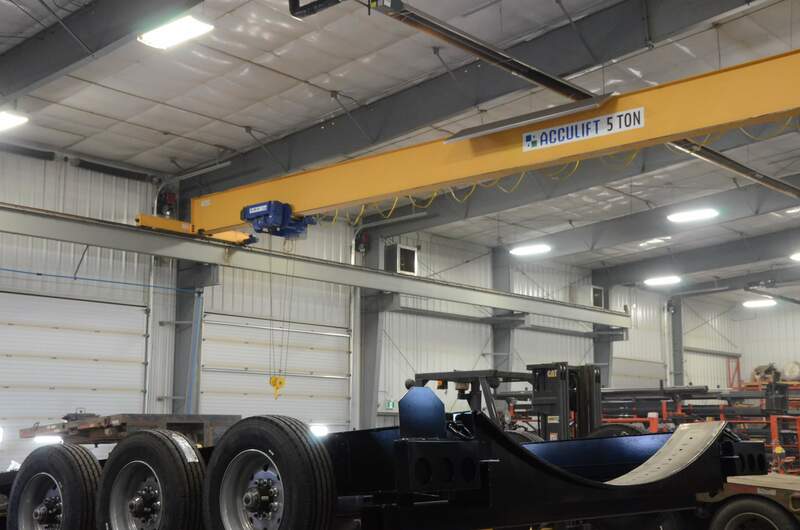 They provide equipment for several industries with bridge cranes, gantry cranes, workstation cranes, jib cranes, free standing cranes, and crane kits. EMH has provided both our sales and operations teams with extensive on training at the EMH head office on their products, installations, and logistics. 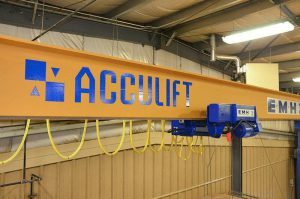 Together, Acculift and EMH have formed an efficient design, install, delivery and installation process that benefits our end customers. 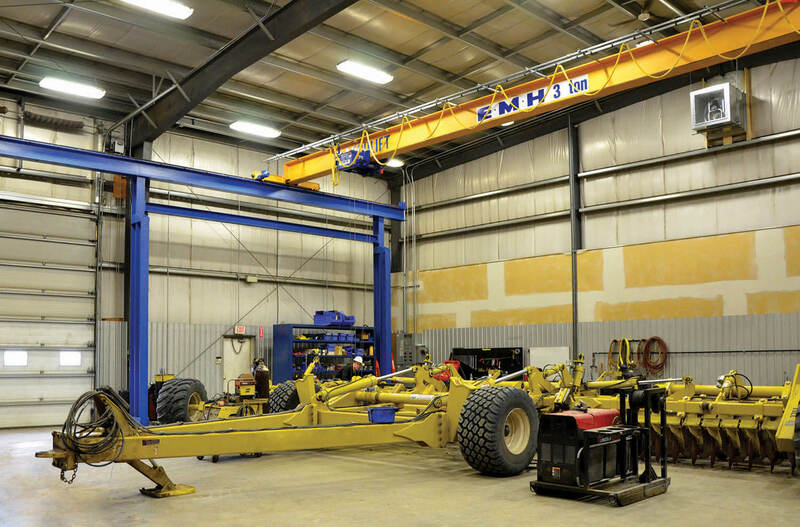 Founded in 1988, EMH began as a service-based distributor, providing engineering services and components for overhead cranes. 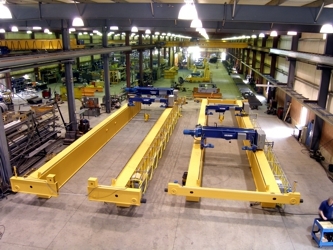 Over time, EMH became a full line, one-source manufacturer of overhead material handling equipment. In 1997, they moved to their current facilities, a massive 125,000 square foot state-of-the-art facility, which increased their capacity and allowed for faster and more efficient manufacturing. EMH is a privately owned company with their head office located in Valley City, Ohio. EMH is ISO 9001:2008 certified and committed to a rigorous, ongoing process of quality control for all processes. They are members of the Material Handling Industry, the Crane Manufacturers Association of America, the National Precast Concrete Association, and The American Galvanizers Association. EMH has been a recipient of the prestigious Weatherhead 100 Award from Case Western Reserve University in Cleveland, Ohio. EMH exports internationally to over 20 countries. Take a look at our case studies that feature EMH product in the field at Degelman and K-Line Ag.